Why See Oklahoma City Philharmonic - The Sounds of Simon and Garfunkel? Oklahoma City Philharmonic Orchestra present a thrilling tribute to America's favorite folk-rock duo, Simon and Garfunkel. 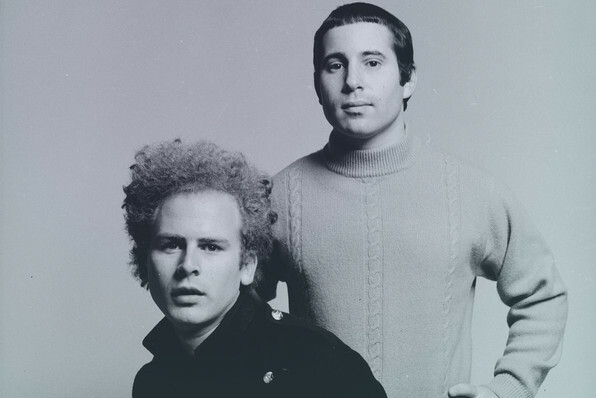 Their career spanned more than forty years and they were one of the best-selling groups of the 1960s, yet Simon and Garfunkel's classic melodic harmonies and emotive lyrics continue to inspire new generations. Experience some of their best-loved songs in a way you've never heard them before. Symphonic pop conductor Michael Krajewski is well known for his wit and engaging productions; not only is he Music Director of The Philly Pops and Principal Pops Conductor of both the Atlanta and Jacksonville Symphony, his take on the music of Simon and Garfunkel will take you on a reminiscent journey of halcyon days gone by. Hum along to Sounds of Silence and Bridge Over Troubled Water, Scarborough Fair and tap your feet to the incredible strings version of Mrs. Robinson, and feel groovy again. The Oklahoma City Philharmonic was founded in 1988 under the musical direction of Joel Levine. It is committed to enriching musical education in and around the city, and regularly performs orchestral pops, classics and family concerts. Sound good to you? 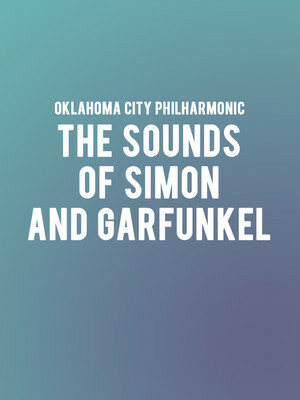 Share this page on social media and let your friends know about Oklahoma City Philharmonic - The Sounds of Simon and Garfunkel at Thelma Gaylord Performing Arts Theatre. Please note: The term Thelma Gaylord Performing Arts Theatre and/or Oklahoma City Philharmonic - The Sounds of Simon and Garfunkel as well as all associated graphics, logos, and/or other trademarks, tradenames or copyrights are the property of the Thelma Gaylord Performing Arts Theatre and/or Oklahoma City Philharmonic - The Sounds of Simon and Garfunkel and are used herein for factual descriptive purposes only. We are in no way associated with or authorized by the Thelma Gaylord Performing Arts Theatre and/or Oklahoma City Philharmonic - The Sounds of Simon and Garfunkel and neither that entity nor any of its affiliates have licensed or endorsed us to sell tickets, goods and or services in conjunction with their events.